My first word wasn’t “mama” or “dada” – two very common and almost expected phrases children repeat over and over when learning to speak. No, my first word was “cookie”… as in Cookie Monster from the renowned PBS children’s program "Sesame Street." Suffice to say that Grover, Big Bird, Oscar the Grouch, and the entirety of the "Sesame Street" gang were a staple in my home growing up, but they’ve been part of my mother’s life for much, much longer. 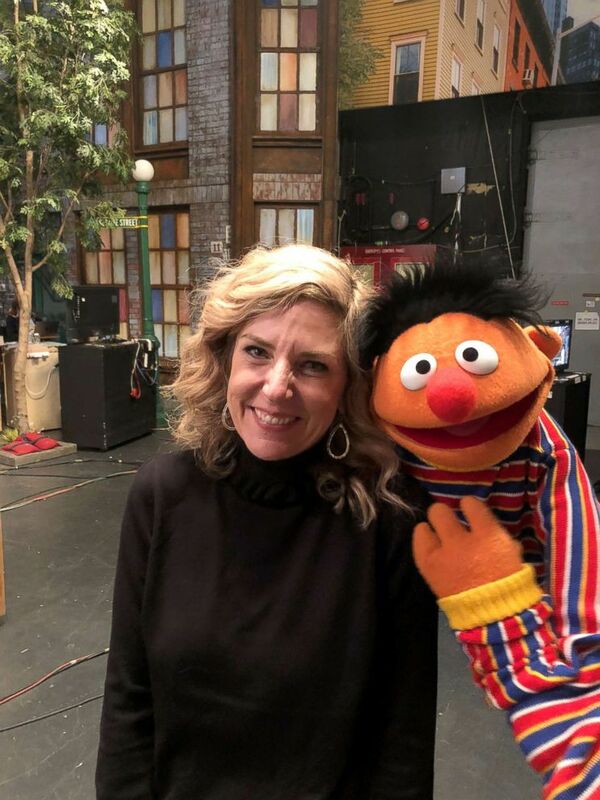 I grew up listening to my mom, Heather, relay happy memories of mornings spent in front of the family television, desperately wanting to know how she could one day get to Sesame Street. As she recalls, it was her escape from reality, and she wholeheartedly believes the singing fuzzy puppet monsters were vital in teaching her the fundamentals of how to be a good person. So, when my parents made plans to visit me in New York City last month, I knew I had to find a way for my mom to get to Sesame Street. Luckily, I have a friend who works for the show, who was able to arrange a special, behind-the-scenes tour. To up the ante, I kept it a secret from my mother, telling her only that I had a surprise for her. On a chilly Thursday in late October, I met my parents near Central Park and we caught a taxi to Queens, where the show is filmed. We arrived at Kaufman Studios and went through a security check point, further confusing my already-perplexed mother, before we headed to the lobby to wait for our tour guide to arrive. Once we boarded the elevator, I told my mom she’s about to have one of her lifelong dreams fulfilled: We’re going to Sesame Street. 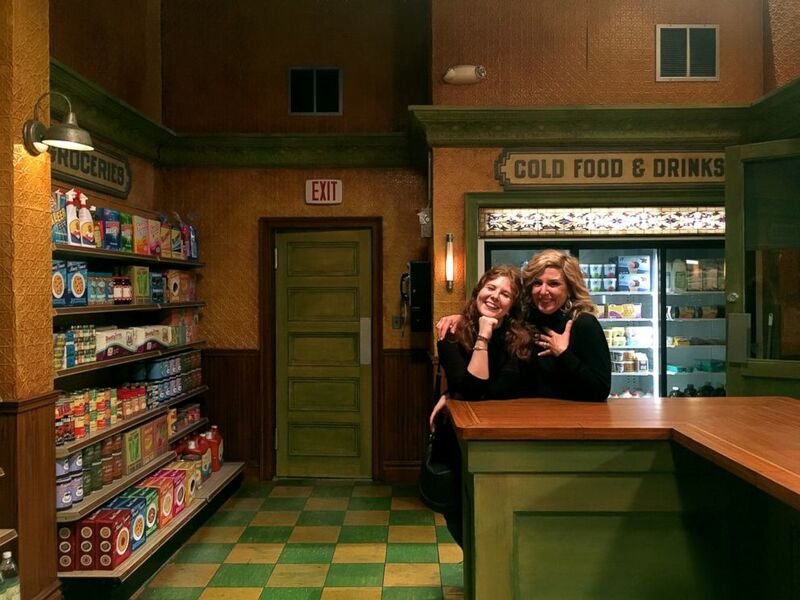 Maddy Cunningham surprised her mother, Heather, with a visit to the "Sesame Street" set in New York City on Oct. 25, 2018. We walked into the production offices to hang up our coats and, as she continued to try and catch her breath, she immediately became the center of attention in the room. Everyone was enamored with her pure, unadulterated reaction and we quickly acquired an entourage to accompany us to the studios. The rest of the experience was mostly a blur of happy tears and adrenaline. Even staff members from the show were crying while watching her react and discover everything around her. I’m still surprised my mom didn’t faint when we walked in to see the iconic brownstone steps, sat in Big Bird’s over-sized nest, or when the Cookie Monster made a surprise visit just to give her a hug. My mom is the kindest, most selfless person I know. She is constantly going above and beyond to make sure that everyone around her has a bit of “rainbows and unicorns and sparkles” in their lives and has created so much magic for me throughout my life. In a world surrounded by so much negativity, she was really touched to see that the show meant so much to so many other people, and that she was able to spread some “unicorns and rainbows and sparkles” to others.